Dr. Wilfried Zeisler became Hillwood’s curator of 19th century art in February, having served as the Museum’s first curatorial fellow in early 2013. He is a graduate from the Sorbonne University and from the Ecole du Louvre, Paris, and is a scholar of French and Russian art. 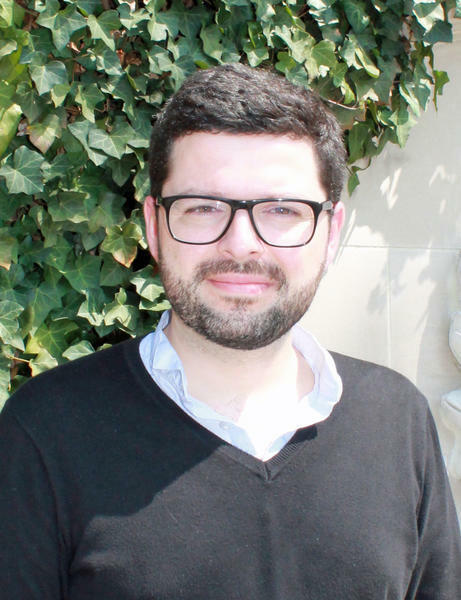 His dissertation was titled “The purchases of French ‘objets d’art’ by the Russian Court, 1881-1917.” Wilfried has worked as a research lecturer at the Ecole du Louvre and Sorbonne University in Paris. Wilfried’s forthcoming book French Objets d’art and Luxury Goods in Russia (1881-1917) will be published in French later this year. Wilfried has written widely on decorative arts in France and Russia, including a 2010 book on ceramics and several articles. He has contributed to more than 10 exhibition catalogs, and has curated exhibitions in Paris and Monaco. Along with Dr. Scott Ruby, Hillwood’s curator of Russian and Eastern European art, he is working on an exhibition entitled Splendor and Surprise: Elegant Containers, Antique to Modern, which will open in February 2015.